Age-proofing cities will be a cultural challenge as much as an urban design one. One place that’s had to think a lot about age-proofing is Japan. 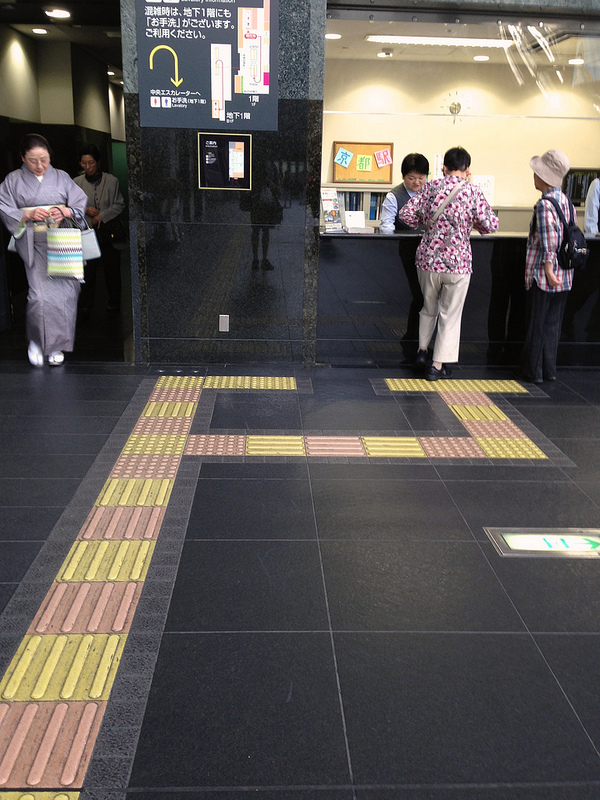 From long-interval chimes that guide the hard of seeing toward exits—”ding…dong”—to guideways and warning strips in train stations and on sidewalks, they’ve done quite a bit to make life easier for their graying population. I found this great example in Kyoto’s train station. Notice how they’ve systematized the texture differences between straight paths and intersections and terminuses. You see these throughout the country.